While the sport of boxing involves a variety of set rules and regulations, there’s a lot to learn from the art of sparring. Sparring allows you to practice your moves and techniques in a relaxed setting. 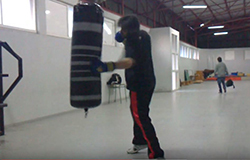 It’s more freeform, giving you the opportunity to experiment and master your boxing approach. To many, sparring can be intimidating. However, it’s one of the best ways to improve your boxing abilities. The main goal of a sparring match is not to knock out the opponent. 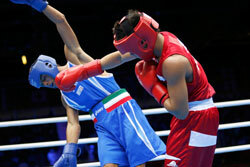 Instead, sparring is used to improve and challenge boxing skills. If you’re new to sparring and boxing in general, it’s a good idea to understand what you’re in for. While sparring is generally considered to be a friendly match, it’s a good idea to understand the sport to avoid injury. Here are 10 sparring tips for beginners. Like with boxing, the right gear can make all the difference. Sparring gear is designed to protect your body from injury and enhance your performance in the ring. You should never enter a match without gear. 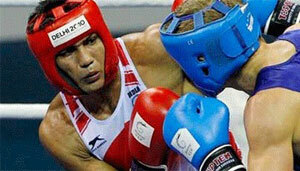 Headgear is one of the most important pieces of gear. A variety of headgear is available to protect various parts of your face and head. Properly fitting boxing gloves will protect the delicate bones in your hands while delivering a powerful punch. Finally, specially designed boxing shoes will improve your footing and stability as you spar. Touching gloves is an important protocol when sparring. It refers to the light tap you give your opponent’s gloves before and after the sparring match. It’s a common etiquette that helps retain that camaraderie between sparring partners. It also signifies the beginning and end of a match. Before sparring, touching gloves shows that you are ready to rumble. After the fight is over, the act is a way to say thanks before you move onto another opponent. Failure to touch gloves is a bad way to start a sparring match, so it’s important to perform the tradition. Because sparring isn’t about knocking out your opponent, it’s important that you stay on par with your partner. That doesn’t mean to go lightly by any means, but rather to hit as hard as your opponent is hitting. By paying attention to your opponent, you can easily see where the match is going in terms of intensity. Some opponents may go very light while others are a bit more ferocious. Take your opponent’s blows into consideration and match their power level. It’s not uncommon to get carried away while sparring. Should this happen, your opponent will likely hit you hard as a sign for you to calm down. Simply take that into consideration and relax to match their power level. Sparring is an intense sport that becomes overwhelming very easily, especially for beginners. One of the most common mistakes a new boxer will make is relying on the same combinations. 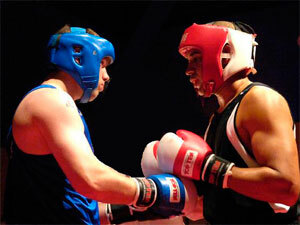 If you’re new to boxing, a sparring match may be your first moving target. Not only do you have to think about what you will do, but also what your opponent does. This often leads to repeated combinations just to get a good hit in. Unfortunately, this makes your actions very predictable. Not only that, but you’ll never learn anything new from repeating the same combinations. It’s important to keep your opponent guessing and try new moves throughout the match. 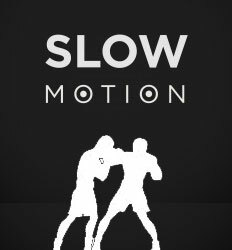 Slow motion sparring can actually help you get out of that comfortable combination. While it may seem odd, you can slow down the fight so that you have control over every part of your body. For beginners, this unorthodox method is great for practicing new techniques and learning how to think on the spot. By slowing it down, you can see the hit coming and have enough time to go through your collection of defense moves in your head. With fast sparring, you may not have time to think of a move and execute it fast enough. Over time, you’ll be able to remember moves more quickly. You can start off slow and work your way up to gradually improve your mind and body. In boxing, your stance is incredibly important. It keeps your body on edge and ready to execute any combination or defense move. During a sparring match, your stance needs to be just as tight and perfect. Your chin should be tucked down while your eyes are locked on your opponent. The elbows should be in with your hands up to carry out a move at a moment’s notice. Your feet should be pointed towards your sparring partner and ready to move. This stance needs to be persistent throughout the match. However, it’s important to relax your muscles while keeping the proper stance. This ensures that your body is protected and ready even if you are tired. This relates to keeping the proper stance. Your hands are the most important part of your body during a boxing match. You use them to deliver harsh blows while also protecting your face. It’s vital to keep them up while sparring, just like you would in a competitive boxing match. Despite a sparring match being more relaxed, that doesn’t stop your opponent from seeing a window and taking advantage of it. Should you need to lower your hands and shake it out for a second, ensure that you are far away from your opponent. If you’re close, keep the hands up and never let your guard down. While it may seem like common sense, it’s worth mentioning that you should never take your eyes off of your sparring partner. It’s far too common for boxers to lose focus, if even for a split second. You’ll more than likely be surrounded by a bevy of distractions. Everything from spectators to the clock can pull your focus. Just like letting your hands down, looking away is the perfect opportunity for your partner to land a big hit. It’s important to block out any interference and focus on what’s in front of you. Knowing where to look on your opponent is very important. While you may have your eyes locked on your sparring partner, it’ll do no good if you’re not looking at the right thing. The chest is the central part of the body. By focusing on the chest, you can see their overall body movements. The chest will also give you a better indication of what move is coming before it is even completed. Rotations and muscle reactions allow you to understand what’s happening as the move is executed. Focusing on the chest will also help with your stance. Because the chest is lower than the gloves and eyes, your head will be pointed down. This will support your tucked chin. As mentioned before, sparring isn’t about going for the knockout. Should you find an opening and land a huge hit, consider whether or not you need to continue. In most cases, it’s a good idea to let your opponent recuperate for a moment before continuing. You don’t want to injure your opponent, so it’s important to know when to stop and give them a breather. That being said, there are instances when you can continue. If your sparring partner has a fight coming up, it may be a good idea to continue to imitate a real fight. However, it’s all up to your opponent. Being able to understand when to stop or continue is crucial….